I enlisted in the Marines before my 18th birthday, so my Dad had to sign for me and he was proud to do it. So, I never received a draft notice. But birthdays were used for the draft. About half way into the Rocky Marciano book, I'm totally interested in it. It mentions mob control throughout the boxing industry. It was a dirty sport, probably still is. Though I've always been interested in the heavyweight boxing division in America and here in Australia, I've never really read the in depth research that's obviously gone into writing this book, only magazine articles. I believe that with just about any kind of gambling the mob is involved. Yeah, it would be no different here. Funny how the government prohibits gambling, yet all the states are involved in several lotteries. Al Capone is probably rolling over in his grave! And the biggest and wealthiest crooks are politicians! Tom, here they don't prohibit gambling! Aussies would find a way to gamble on two flies crawling up a wall. Not a vice I've ever taken up though. I've started on the mother load. My Kiwi mate gave me two DVD's of books sent over from his cousin in NZ. There's just about every type of book in over 8 gigabytes, I might not survive this, actually this is where I got all of the Stephen King's collection. 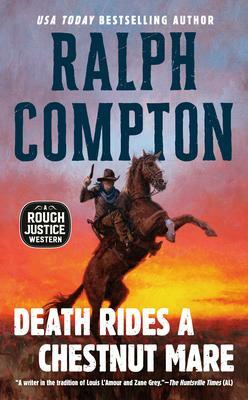 Going through them I found a western author named Ralph Compton, 33 of his. I'm onto the second of his "Death Rides a Chestnut Mare"
If I ever get through a fraction of these I'll be doing well.